It's been a very unique few days in the office. We're going through one of the many spurts of busyness that often hits us. We wait on calls to confirm appointments. The client needs things NOW. If I do this and Tara does that and Gene can do this, that means Mike can go here and we'll send Pam over there. But if we get a call about 'x', well, all bets are off on getting things done. When I first started, this thing called "e-mail", wasn't the preferred method of communication. Phone calls and faxes and the post office got plans, specs, requirements and notes back and forth. We got company email in summer of 2001, the first office in the company to be connected via this Internet thing to the main office. My then boss dismissed this as little more than smoke and mirrors and it would never replace the fax machine as a work horse of communication. And you're giggling or guffawing, right now, because I can hear you. We still do some things via fax, but most communication is first via phone and then via email. Appointments are scheduled through email. Contracts have been sent via email for preliminary approval. Requests for proposals are always sent via email. I do a small trade newsletter and all the information I publish in the newsletter has been gleaned from online sites who send me information via email. The office email died some time on Thursday. We could not access it on our desktops. Mike could get it on his iphone but I don't have my smart phone synch'd to receive email. (I'm thinking that might be something I should do now.) He was the only person, from Thursday afternoon through 2 p.m. today, to see any kind of office correspondence. Good luck looking at plans on an iphone. He would forward things on to his primary personal account so he could look at them at home at bigger than 4 inches. The degree of angst this produced was amazing. You'd think we'd been bombed back into the stone age, resorting to communication via smoke signals. Clients were reasonably understanding that we were working on the problem but lags in communication caused some to be less than charitable with our later than they wanted replies. "It's absolutely crucial to business to have a working email," I heard on several occasions. "This is horrible, beyond horrible, that our email is not working." I suppose, in this day and age, that is a true statement. As I have dealt with needing to make appointments and exchanging information, I have some observations. Having email means less planning goes into preparedness. The almost instantaneous nature of email means that you don't have to build into your need for information, the delay by sending something via post. There is a huge amount of assuming that because you need something now, the receiver is just sitting around waiting for your contact. "I'm sending you 35 pages of documents. I need your proposal by the end of the week." Um...see above for how busy we are. In the past, you'd never hear that. The documents would come 2 weeks before the proposal was needed. I really, really wish that, sometimes, I could say, "Poor planning on your part does not constitute an emergency on my part." Email excuses the planner whose desk is a nightmare from being organized. The second observation is that we have become so dependent upon technology that when the office email goes down, when the power goes out, when our Internet fails, we do not have skills to do our work. There is a whole generation who does not know how to write letters by hand, how to make a typewriter work to print a label, how to pick up the phone and talk to a client because everything is done by technology. They cannot do their job without the LCD in front of them. The last observation is that having all your email come to your phone means you are never without it. Think about the last time you drove some place and did NOT see someone driving while talking on their phone. What is so important that you have to yak it up while you are driving? Going without company email has caused me to decide to do something I've thought about for a couple of years now. We always think we are a better driver than that guy in the next lane and this greatly comes into play when we are talking on our phone while driving. There are reasons laws exist to prohibit texting while driving and talking on cell phones while in school and construction zones. Ironically, in my Facebook Mythbusters feed, there was a test of the "myth" that you are a worse driver while talking on the phone than you are when you're drunk. You should watch this. I have decided I will no longer talk or text while driving. It is so tempting to pick up the phone because you're driving down a straight highway at 65 mph. You'll be fine. Or to think, because you're going "only" 30 miles per hour, that you can handle the phone call and the stop and go traffic. I realize that my reflexes aren't what they used to be or maybe never were and if I have to listen to what you are telling me and pay attention to traffic, I simply can't do both. And, studies are increasingly showing that we humans aren't set up to multitask, period, let alone when we are at the wheels of a car. So, I took the pledge. Sheila Simon, Illinois' current lieutenant governor signed this and I'm encouraging you to do so as well. If I'm in my car and you call my cell phone, you're going to get my voice mail. Leave me a message. I'll call you as soon as I can safely pull over or when I get to my destination. Whatever you have to tell me, even if it is a genuine emergency, I will listen to but when I listen to it, you will have my undivided attention. 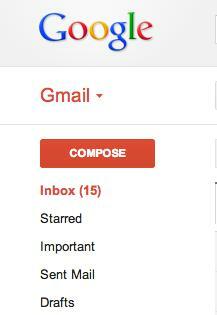 Thanks to 2.5 days without email, I'm also thinking of having technology-free days, but that's a work in progress. Here's to reclamation of a small portion of my life and to being more fully aware of what's going on around me.